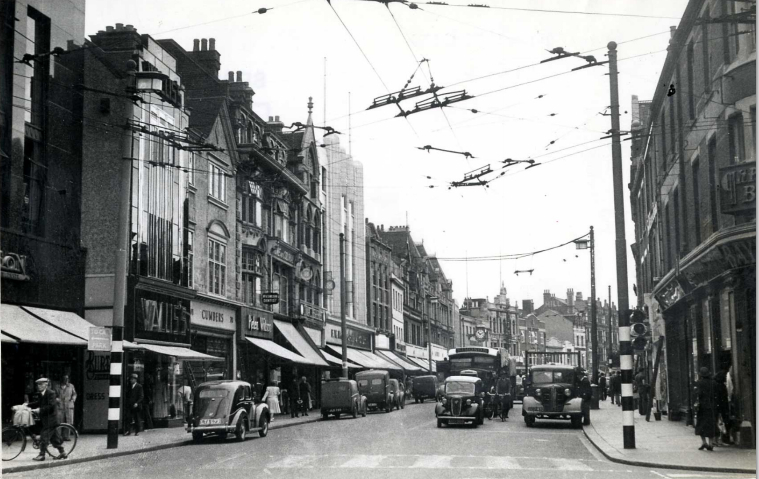 Woolworths opened at 101-103 Staines High Street in 1926, next to the old White Lion pub, as you can see in the below 1950s photo. 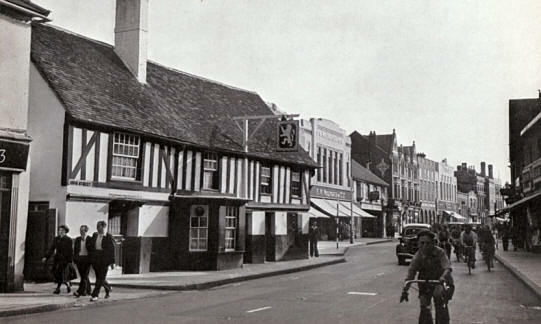 The pub was demolished in 1956 when the one-way road system was built. 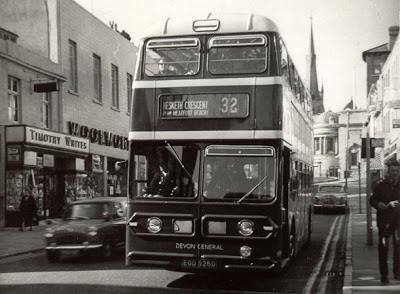 This photo is from the 1960s, you can see Woolworths on the left next to the M&S clock. Between the 1960s and the noughties I could find no photos. 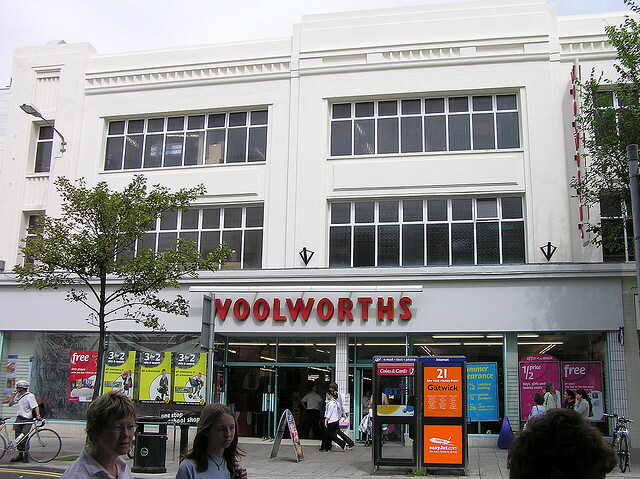 Somewhere between these decades, Woolworths expanded into the neighbouring building (no 95-99). The Elmsleigh Shopping Centre opened in 1980, so I can guess a back extension took place around then, as there was another entrance to the store inside the shopping centre. This made it a VERY big Woolworths. From what I remember at head office, 10/10 was all about making shopping easier, the bright red walkways leading you to the different departments, the rows being at angles to give a sense of the store being bigger I think… And bright blue backgrounds for the department signage, that was noticeably bigger too. Yellow on the walls behind Entertainment. Bright, primary colours as they were going for Kids and Celebrations, target customer being a mum called Debbie who had two kids. That’s vaguely what these photos are making me remember, but I’m sure there was more to it. The store lasted until the end, and closed for good on 3rd January 2009. 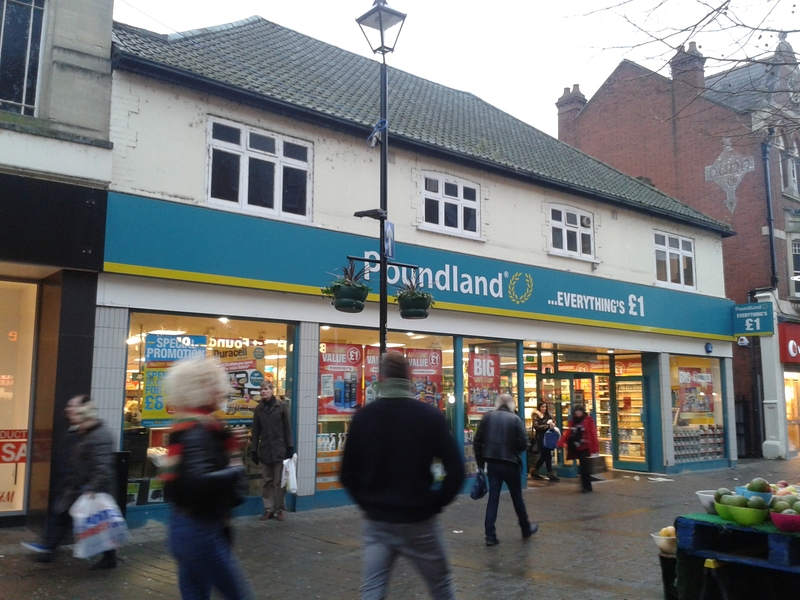 Poundland opened soon after at 95-99 High Street, but the main building remained empty until the end of 2010, with it’s fascia still bright and shiny throughout this time. 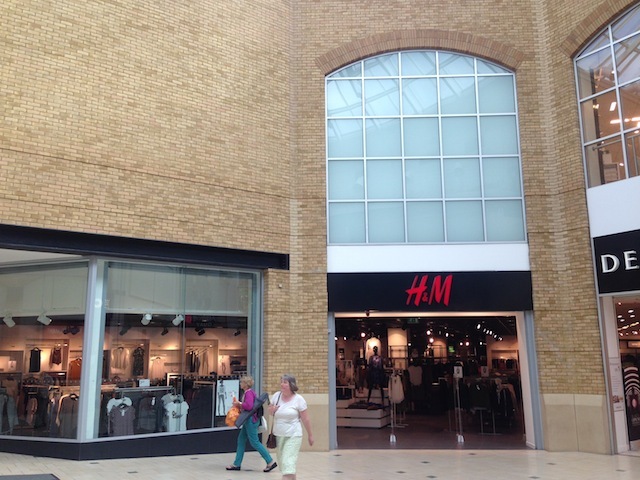 In 2010, H&M announced they would be moving into the Elmsleigh Shopping Centre on a 10 year lease. Below are photos I took on 31st December 2014, the buildings still looking remarkably the same as they did in the 1950s, just with new retailers inside. 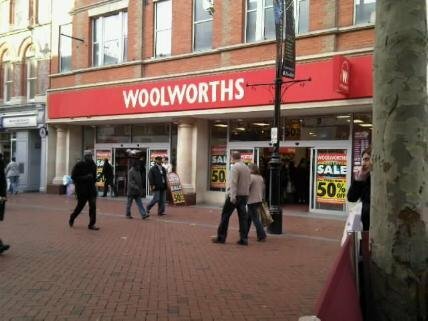 The 155th Woolworths store opened in the royal town of Sutton Coldfield (made royal by Henry VIII in 1528). It opened on The Parade on the former site of a cinema. It must have done well, as a zebra crossing was put in front of the store – I am guessing there would have been high footfall at this location. 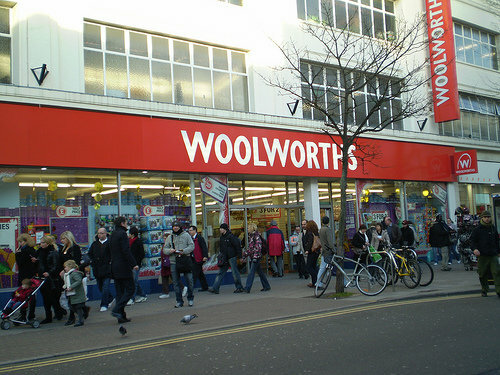 In the 1960s Woolworths moved across the road from number 97 to a much larger site at numbers 68-74. 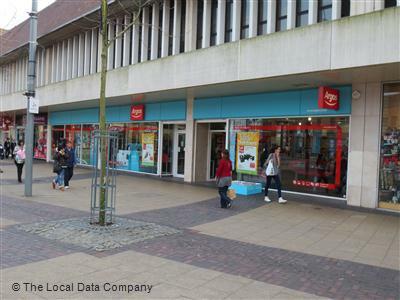 In 1974 the Gracechurch Centre was opened and Woolworths backed into this shopping centre, with a second entrance. It was an extremely large store on multiple floors that included a cafe. 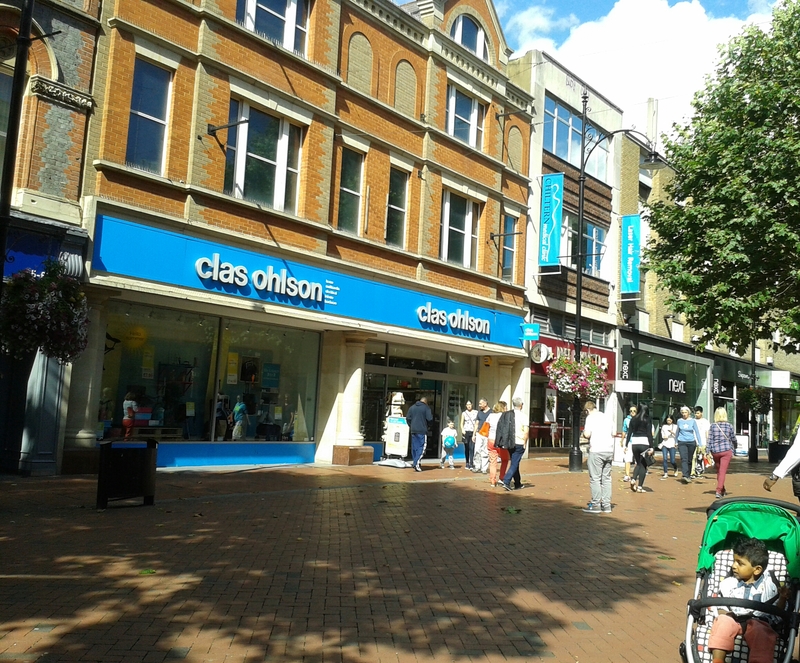 The store closed when the chain went bust in December 2008 and it lay empty for 18 months, probably due to it’s size and the fact that most major brands were already present in Sutton Coldfield. 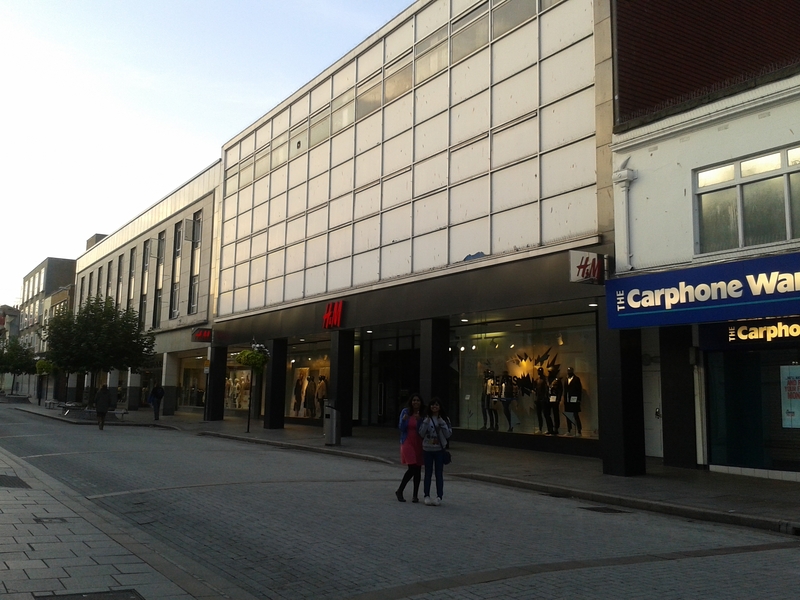 In the end H&M moved from inside the shopping centre to this building, as well as the Card Factory to the left. This building has a blue plaque – for much of the 19th and early 20th centuries The Parade was residential, and number 60 was once the home of Henry Peach Robinson – a local photographic pioneer. Woolworths opened here in 1922. There are no photos of the store online – but I can gather there was a cafe. Leamington Spa looks very regal in its photos, and like Bath, the shops had to have a uniform look with white buildings. Still, it looks as though Woolworths made a point of difference with the grey border around the windows. The store closed in December 2008 and became an H&M. 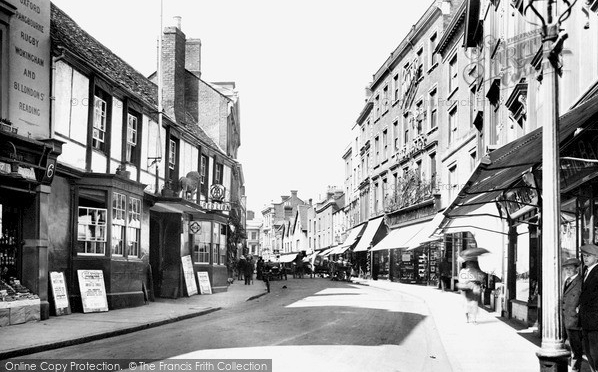 The store was expanded to have entrances in Broad Street, Friar Street, Union Street and West Street, often used as a shortcut by shoppers to get from Friar Street to Broad Street. It sounds like it was MASSIVE, I can’t even imagine! Now this shopping mall concept sounds interesting. 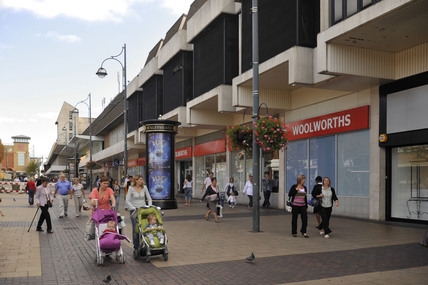 According to 100thbirthday.co.uk, it was originally a prototype for a new large store format called ‘Jupiter’, but they decided on ‘The Woolworth Mall’, piloting Ladybird clothing, the ‘Le Cafe’ restaurant, as well as opticians, show repair and estate agent concessions and selling large kitchen appliances! 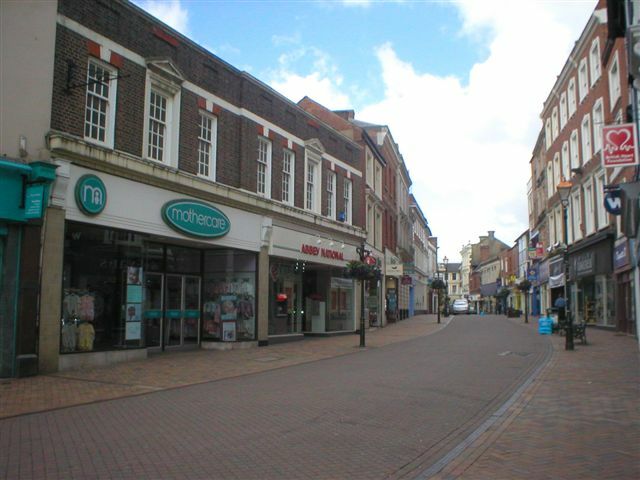 The mall used yellow and grey colours rather than the traditional red and white, although not for long as the concept was dropped quickly in favour of getting rid of huge city centre stores. 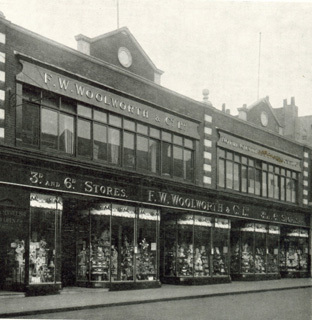 Woolworths opened on Hounslow High Street in 1921. Sadly this store got completely destroyed in WWII. 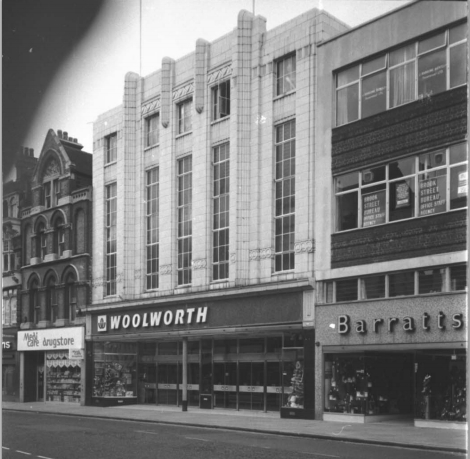 Woolworths opened as a temporary store at 263 High Street in 1949. 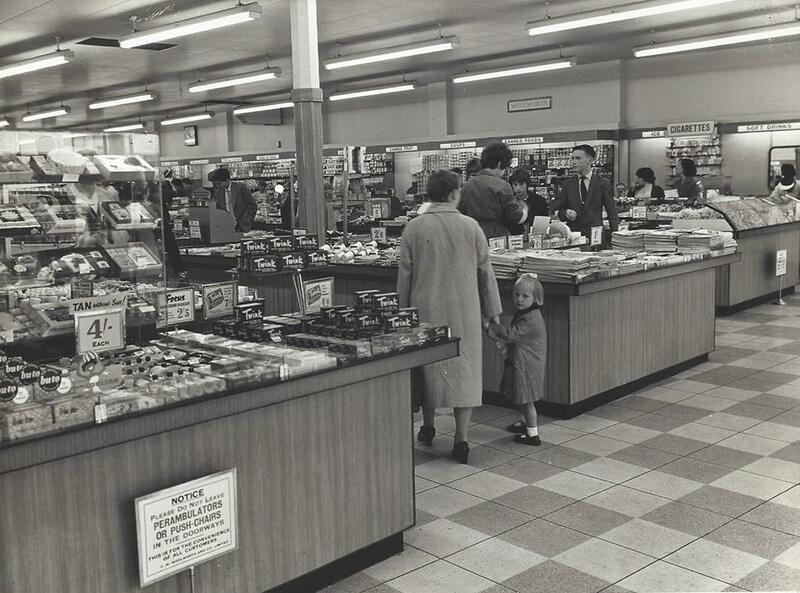 It is pictured here as a self-service supermarket – it may have been converted to this when a new Woolworths store opened at 269-270 High Street in 1959. 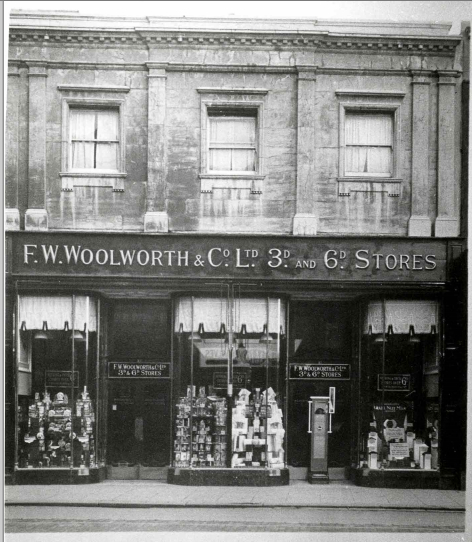 The lasting solution for Woolworths was to introduce food market departments to their traditional stores, so the two stores merged to become a huge store at 263 – 277 High Street. 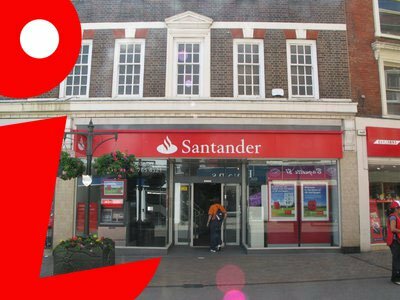 In 1984 this branch became a prototype ‘Operation Facelift’ store, with geranium red walls and fixtures, wider shopping aisles, new wall signage, full lighting and perimeter cash desks. In 1987 the Treaty Shopping Centre opened and Woolworths backed onto this shopping centre. In 1991 the store was extended and refitted as a ‘store of the future’ with touch-screen ordering kiosks, and a new style cafe called ‘The Cafe’. It was given a new store number of 1186 at this point. Robert Baker was the manager of Hounslow Woolworths at the time the store was converted to a 10/10 store in the 2000s, and he had a great team working there right up to the end in December 2008. 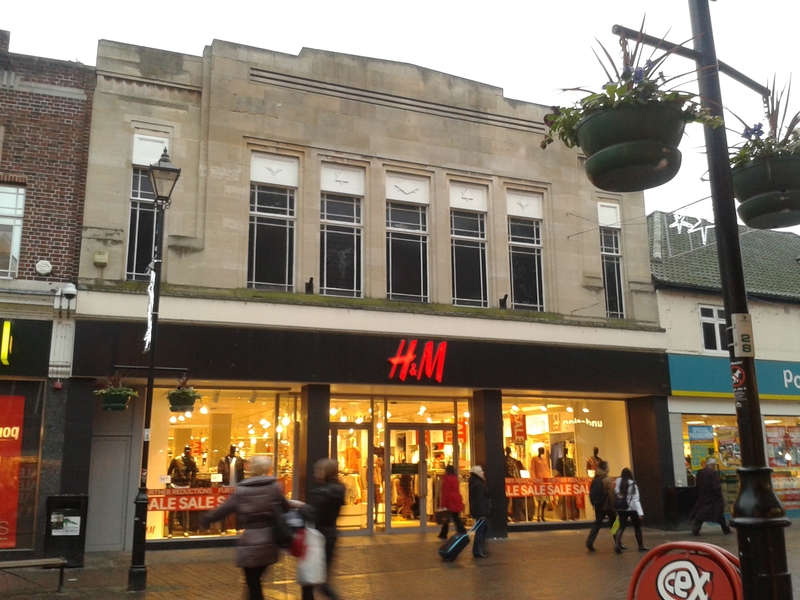 The building became part of a huge redevelopment scheme – it was taken down and completely rebuilt to become a very modern looking H&M and Next. 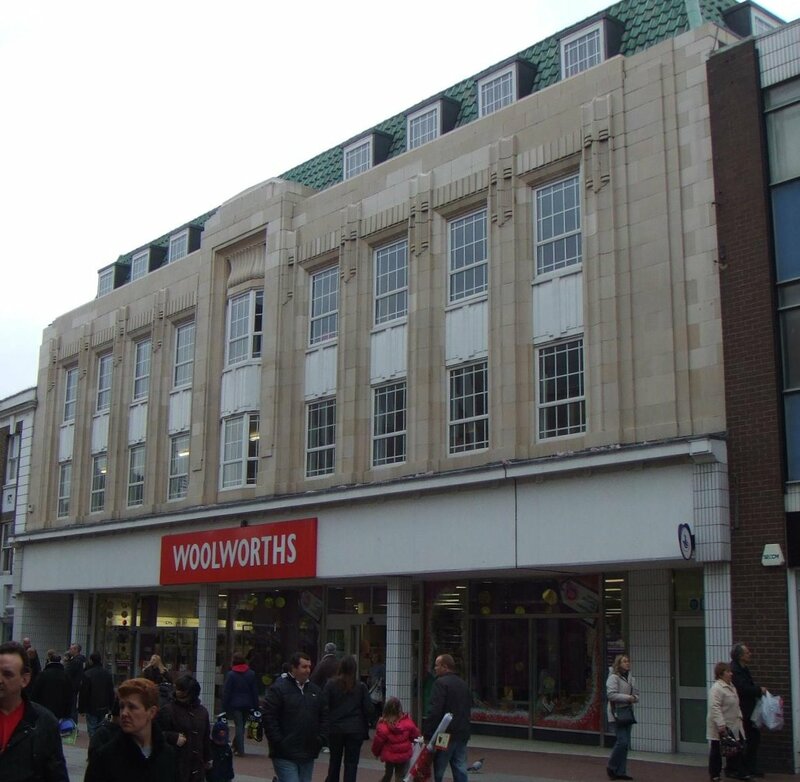 Woolworths first opened in Rowlands Road in Worthing on 28th August 1920. 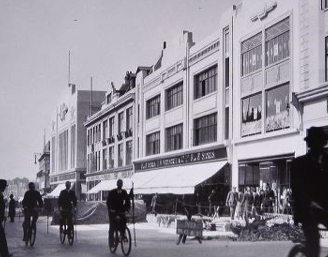 In 1930 the store was extended and a horizontal moderne Art Deco frontage was created. This was a style favoured for seaside towns such as Brighton, Bournemouth and Bexhill. 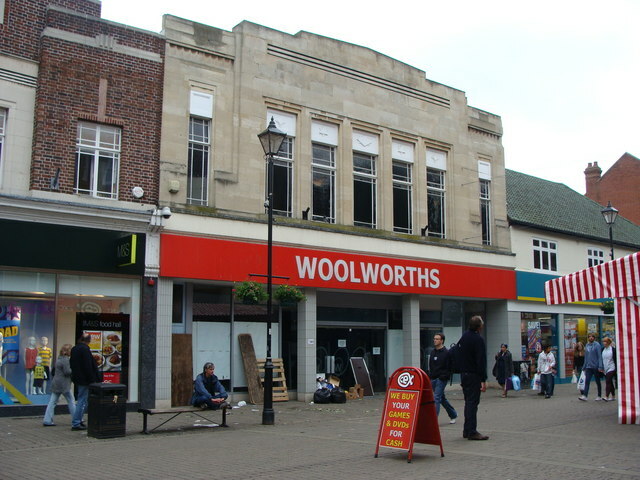 Woolworths traded here for nearly 80 years, until the chain’s closure in 2008. Today the Art Deco frontage still exists. 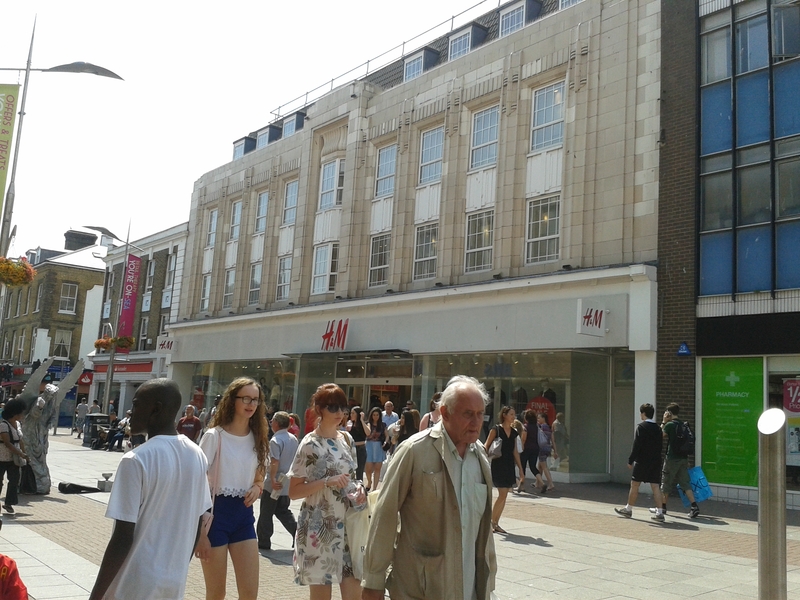 If you are ever shopping in Worthing, take a look above H&M or the bookshop next door. 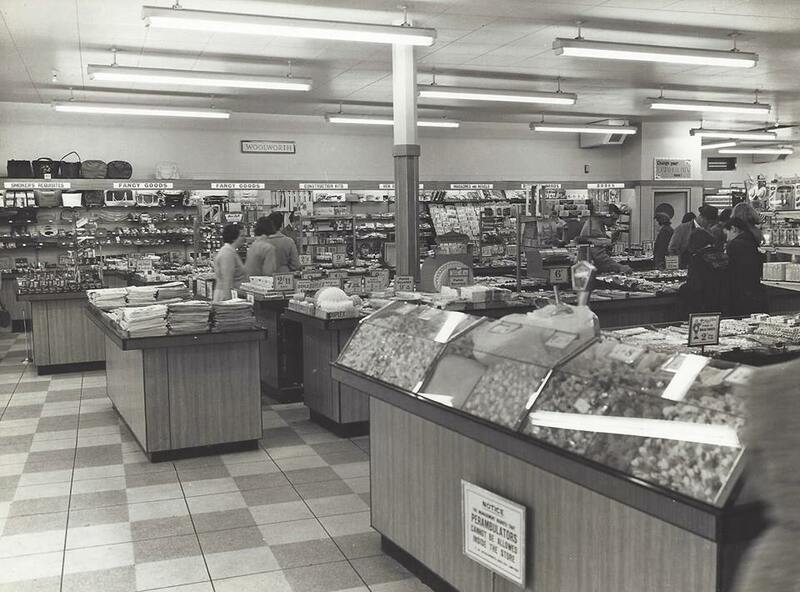 Here is the store in the early 1960s, prior to their move up the street. In 1964, they relocated to larger purpose-built premises at 21-25 Union Street, reopening on 11th June. 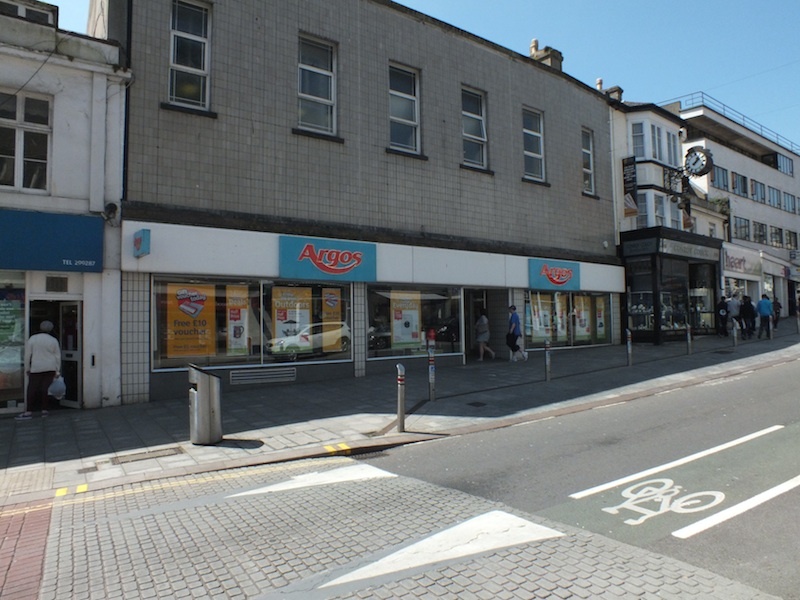 (Source: 100thbirthday.co.uk) Argos took over the old building. 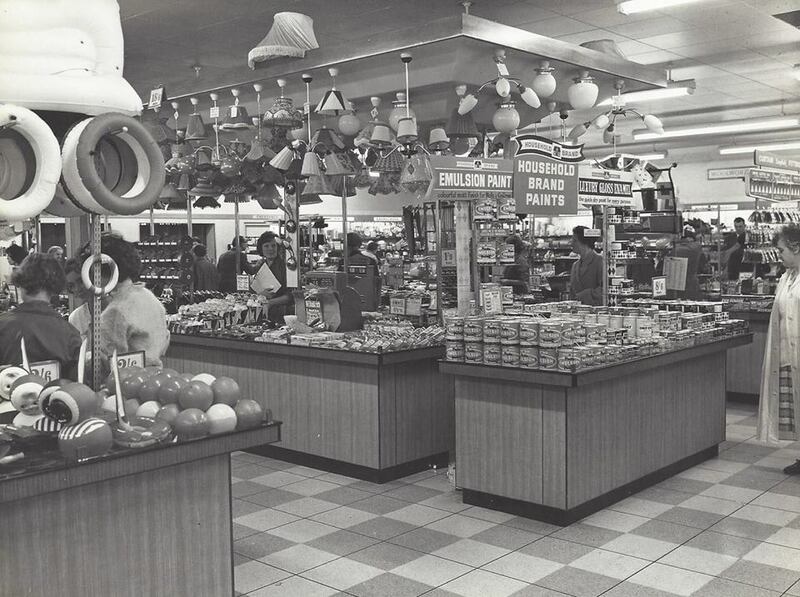 Here is the new store in 1968, 4 years after it re-opened. 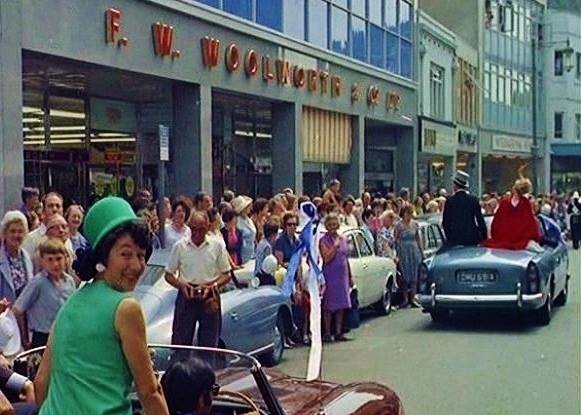 This photo was taken during the annual parade of the Torquay Hotels Association. Here it is in 1988, interestingly with the more elegant F.W Woolworth fascia rather than the modern red and white Woolworth fascia that most stores had converted to in the 70s. 18 years later, Torquay Woolworths closed for good on 27th December 2008. 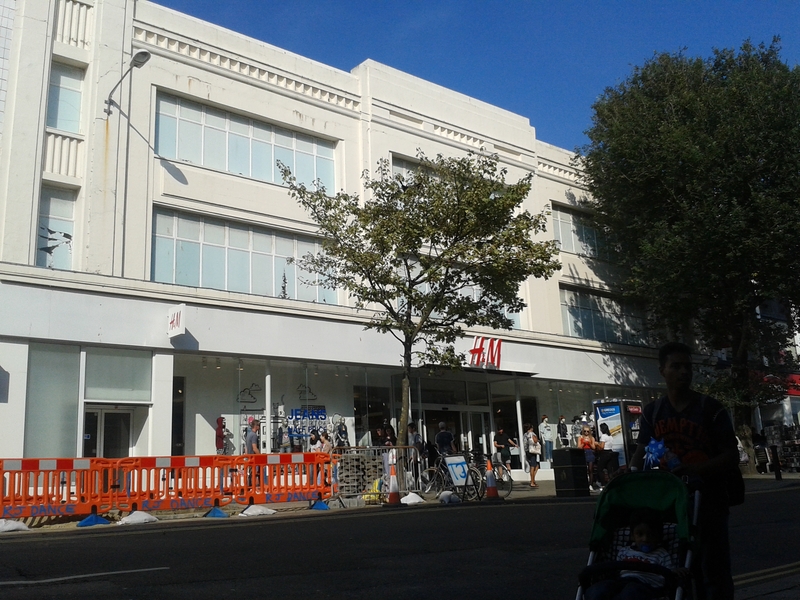 Over a year later, H&M moved into the building, opening on 25th February 2010 – almost exactly 90 years after the first Woolworths opened in Torquay – wow. 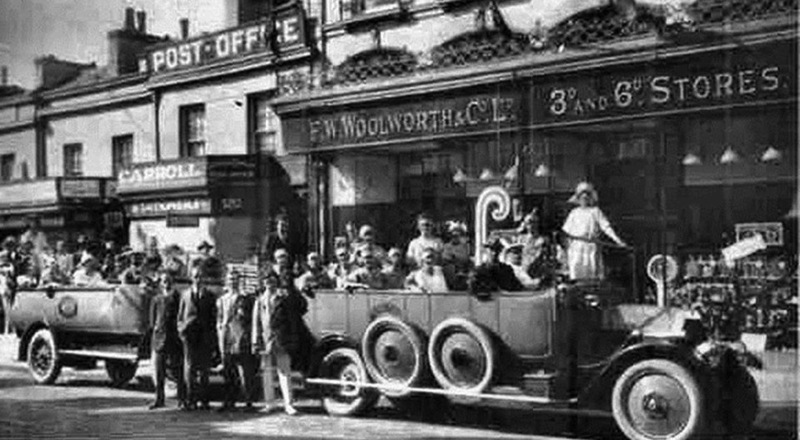 One of the very early Woolworths stores, the Brighton branch opened in Western Road on 5th August 1916. 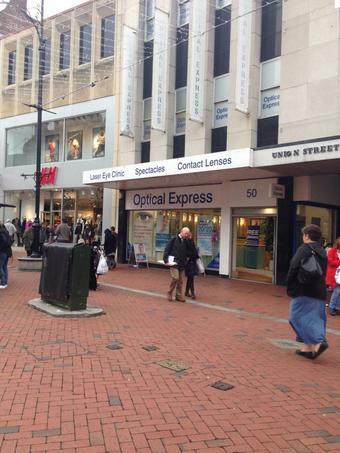 It was joined by two further Brighton stores in London Road and St James Street in 1927. 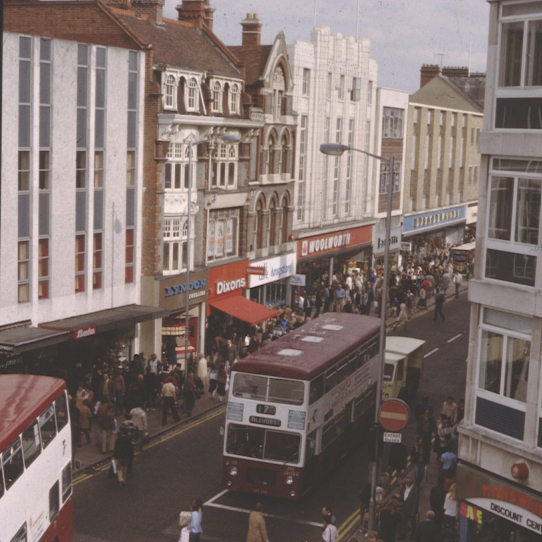 In 1968 the store was modernised and reduced in size, with the right side being sold to Clinton Cards. Below is the store in 2004, a year when Geri Halliwell visited one November evening to meet hundreds of fans, many of whom had been queuing since lunchtime. This store became a 10/10 new format store in the 2000s, before closing for good on 30 December 2008. 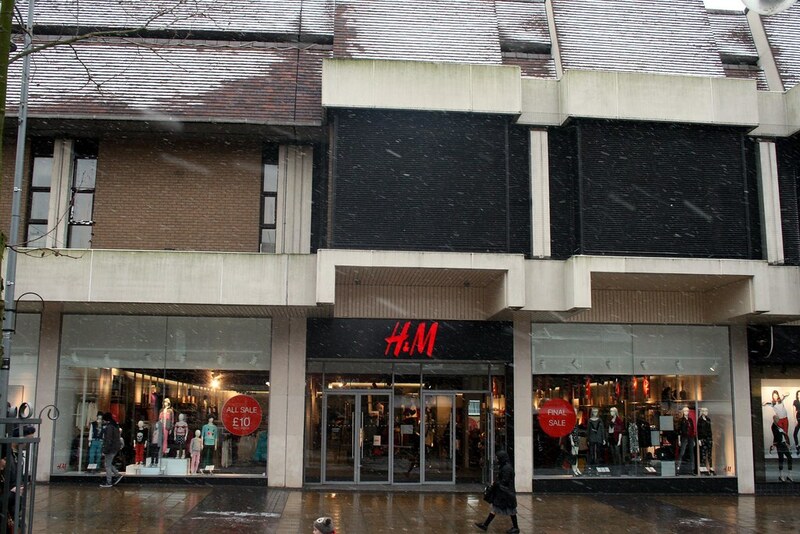 The building didn’t stay empty for long, in April 2009 H&M announced they would be moving in. 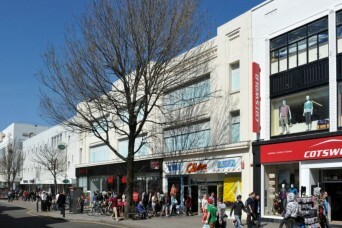 “A cinema front was added in 1957 when the store was extended to span 29-35 High Street. It was enlarged further in 1977, while the upper salesfloor and restaurant were closed in 1988”, and finally the whole store closing in January 2009. 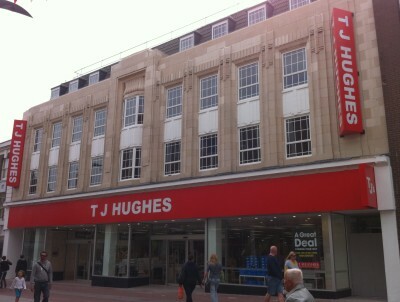 TJ Hughes opened in the building in August 2010 after a £1million refurbishment, but unfortunately they also went into adminstration and closed just one year later. 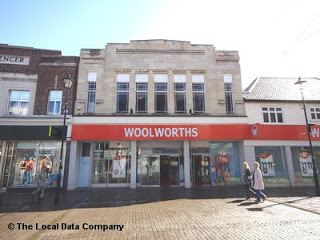 Woolworths opened on Banbury High Street in 1931, according to the Banbury Guardian. 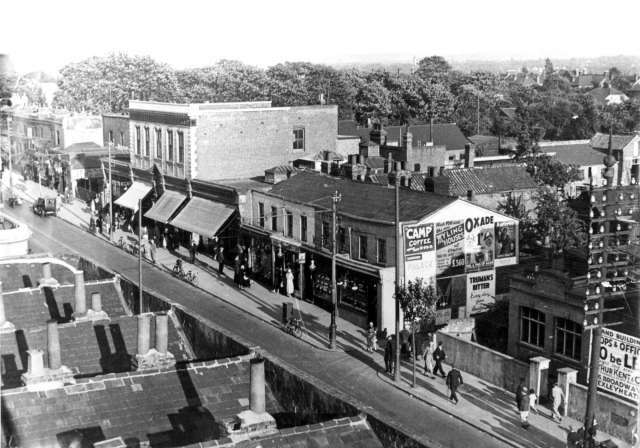 It was built on the site of the Red Lion Hotel, below on the left, which was demolished to make way for the new store. 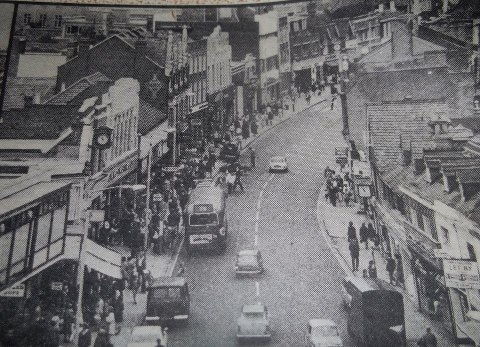 Here you can see the Woolworths store on the right of the photo in the 1960s. Here are some wonderful photos of the interior from a lady who spent 30 years of her life working for “The old Woolworths”, courtesy of EddFrostDaughters Ltd. 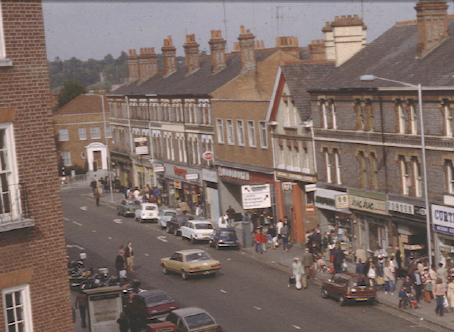 In the 1970s store list, the address is listed as 7a, so the store must have been halved, and the Woolworths store was kept open on the right side (that’s the Abbey National side in the below photo). 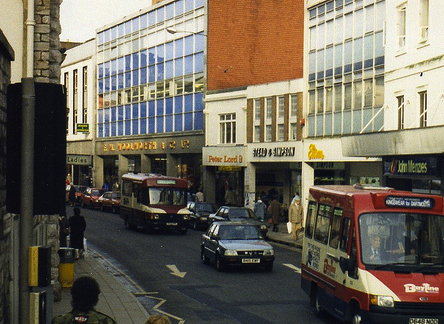 Mothercare may well have been there since the 1970s, as their first stores opened in the 1960s. 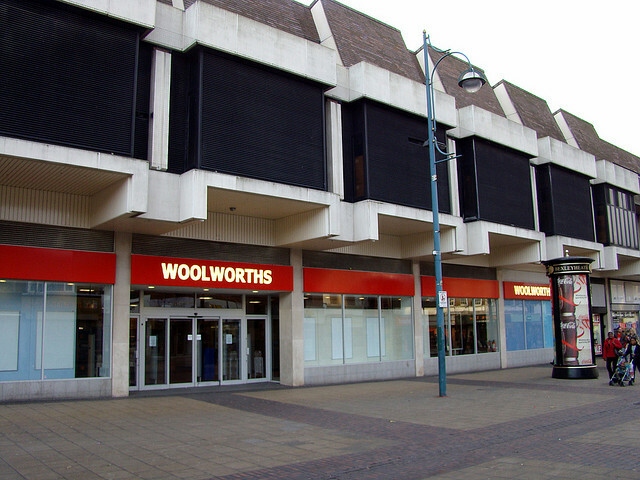 Woolworths closed on the High Street in the 1980s. 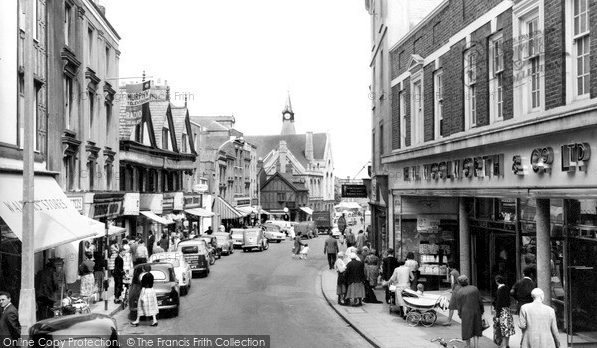 So there was a period of time when Banbury had no Woolworths. Abbey National moved into 7a. 7a High Street today is Santander, and you can clearly see from the windows above that this was the Woolworths building. The Castle Quay shopping centre was first built in 1977. 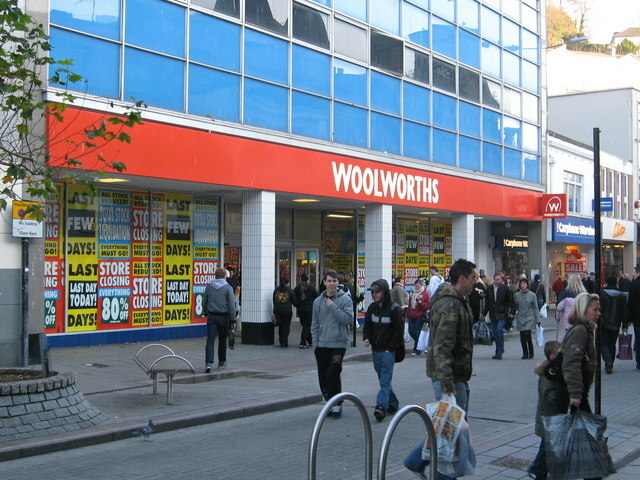 In 1999, it underwent an £85 million redevelopment and this was when Woolworths moved in. It had a new store number 1203. 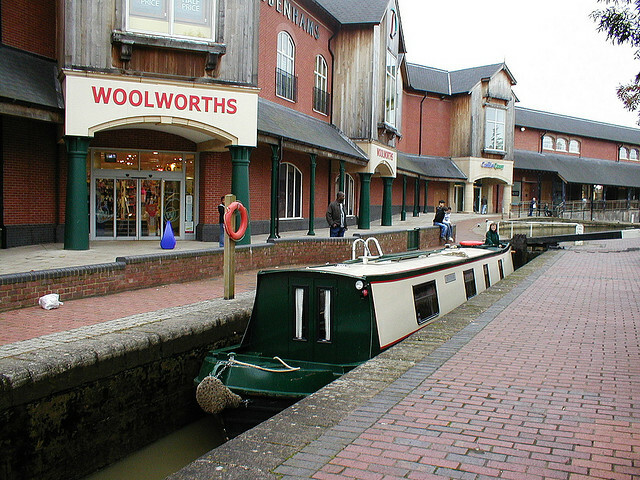 It was the second store you saw as you walked inside, so a good position, and it backed on to the canal. The store closed in December 2008, and when I visited the town in September 2009, the Woolworths fascias were still up, but it was being converted into an H&M, so it must have opened soon after. I visited Banbury again last week, and this is how the former Woolworths looks today from the inside of the shopping centre.